First time ever, Neiman Marcus has their own limited edition beauty boxes for us beauty junkies!!! Beauty Expert, Cult Beauty Goody Bag update, Best of Dermstore Box 2019 and Urban Decay Game of Thrones Palette is available now at Macy’s. Neiman Marcus just dropped three Neiman Marcus Curated Travel Bags $75 – $90. Combined with the next coupon. This post may contain affiliate links. Read the full disclosure. Neiman Marcus is offering up the latest Neiman Marcus April Beauty Cue 6-piece complimentary gift, yours with any $50 Neiman Marcus purchase, ends 4/30 or while supplies last. Normally, it sold out in one day or so. This post may contain affiliate links. Read the full disclosure. Who wants new Nordstrom double beauty bags and Neiman Marcus Beauty Cue March 2019? Plus, there are new offers from Ulta, Sephora, Cos Bar, Revolve, Saks Fifth Avenue and more! Neiman Marcus (NEW) GIFT 1: Receive 6-piece Neiman Marcus March 2019 Gift, yours with any $50 beauty purchase use code LETSGO, ends 3/31 or while supplies last. Gift Includes: This post may contain affiliate links. Read the full disclosure. *VERY HOT* Neiman Marcus Tote Filled Sample Beauty Event Plus $50 Off Beauty! Love this two-day beauty event at Neiman Marcus 2019! Get free Neiman Marcus tote filled samples, step-up gifts from Oribe and Neiman Marcus beauty cue gift. Plus, get $50 off $200 beauty purchase and over 130 free beauty gift with purchase offers, don’t miss out! Neiman Marcus (NEW) offers $50 off with $200 Beauty Purchase use coupon code “BEAUTY“, ends 2/8 or while supplies last (please use it today ASAP). This post may contain affiliate links. Read the full disclosure. *VERY HOT* Nordstrom, Ulta and Neiman Marcus Spring Beauty Bag Gift with Purchase Offers! Nordstrom spring gift with purchase 2019 15pc gift with $75 is available now. Ulta Beauty Platinum gift bag 30pc – worth $275 LIVE NOW + discount code. Neiman Marcus beauty cue coupon code for February 2019 is in – including La Mer cream and Dior brush! NORDSTROM (NEW) With your $75 beauty or fragrance purchase, receive a Free 15-Piece Gift (a $77 Value). This post may contain affiliate links. Read the full disclosure. Well, it’s almost Valentine’s Day and I have the real Neiman Marcus cookies recipe to share – great gourmet Valentine’s Day gift idea! Get the signature cookies directly at NeimanMarcus.com/home-gourmet-food. I’ll also share my free Neiman Marcus Beauty Cue 2019 gift – it’s a great 13-piece gift with $50 purchase. Plus, Neiman Marcus coupon for $50 off $200 qualifying purchase. This post may contain affiliate links. Read the full disclosure. Estee Lauder fans, Neiman Marcus is offering high-end Estee Lauder Spring Gift with purchase plus 13pc gift with any $50 beauty purchase, and free gift card! Sephora Favorites Luxury Kit has arrive and try free Play Box with $50 purchase. 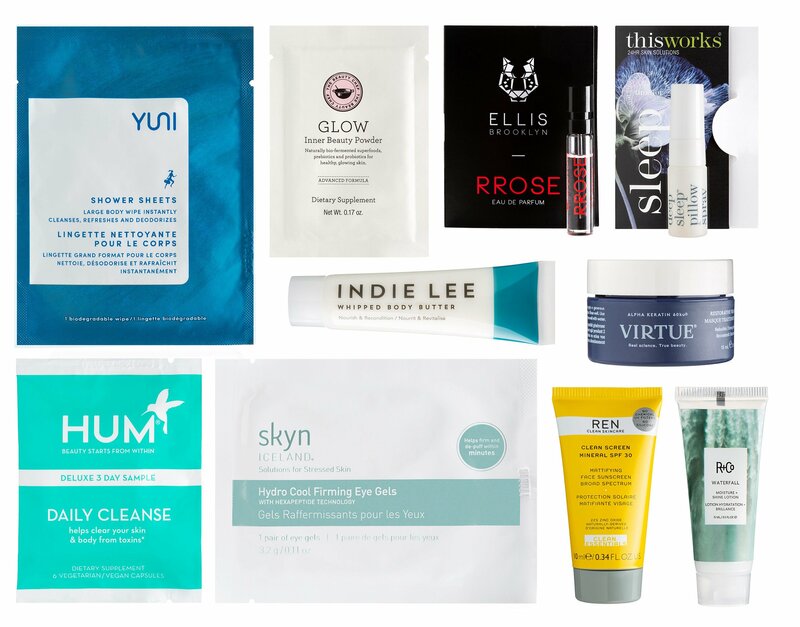 Score 40% off secret sale and Lookfantastic January 2019 beauty bag! Neiman Marcus (NEW) GIFT 1: Choose 5 free beauty samples with $50 purchase – no code needed. (5d) GIFT 2: Receive 8pc Neiman Marcus Beauty Cue January 2019 free gift, yours with any $50 Beauty purchase. This post may contain affiliate links. Read the full disclosure.